If you’ve spent any time researching online content marketing, you’ve probably heard of a strategy called traffic arbitrage. Viral websites like BuzzFeed and ViralNova often use traffic arbitrage as their main revenue strategy. So why can’t you? Let’s look at the top 10 things you need to know so you can use traffic arbitrage to enhance your digital marketing. Before we talk about how traffic arbitrage works, let’s talk about what it is. According to Investopedia, arbitrage is when you buy something with the express purpose of selling it at a higher price. Traffic arbitrage, then, is when you buy traffic for your website at a low price so you can sell it to another firm at a higher price. What would an example of traffic arbitrage look like? The first step is to drive traffic to your website at a low cost. For instance, you could purchase a pay-per-click ad that only costs you $0.01 every time someone clicks on it. Once you have this traffic, the next step is to sell it. By selling the traffic for a higher price than you paid for it, you will net a profit. You could do this by selling ad space on your landing page. If you get paid $0.30 every time someone clicks on an ad on your page, you could potentially net $0.29 for every click you purchase. 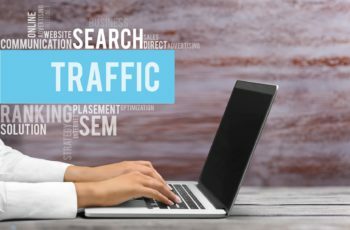 The strategy of traffic arbitrage hinges on driving high amounts of traffic to your website without spending a lot of money. It’s a bit of a tall order. That said, there are lots of ways to do this. As we already mentioned, pay-per-click ads are your best bet. This is because you only have to pay for these ads whenever someone clicks on them. You have a couple of options for where you choose to purchase this ad space. Facebook ads can be a good option, as they provide ways to optimize and tailor ads for specific audiences. Other sites such as OutBrain and Taboola will promote content for you on a variety of sites, and at a low cost. When it comes to digital marketing, content is king. Both users and websites are getting smarter. For instance, Facebook has adjusted its algorithm to reduce “click-bait,” and consumers have become skeptical of messaging designed to drive traffic. This is why content is so important. If you have compelling, engaging content, people will click on it. Think of BuzzFeed’s listicles, or ViralNova’s think pieces. This content is genuinely interesting to readers, which ultimately drives more traffic. Additionally, users won’t just read engaging content–they’ll share it with others. Let’s say you share your content on social media, and it gets 1 person to your site. If your content is compelling, that person might share it with friends. In this case, the single person you paid $0.01 for, brings you additional 10 people for free. The better your content is, the more people will engage with it and share it with others. This drives more traffic to your website, which creates opportunities to generate ad revenue. Remember that driving traffic is only half the battle when it comes to traffic arbitrage. You won’t make any money unless you are effectively selling ad space. Generally, there are two kinds of ads you can include on your webpage: Pay-Per-Click (PPC), and Cost-Per-Thousand (CPM). Ultimately, you’ll want to have both kinds of ads. PPC are the easiest, however, so you should start with these. One of the most popular sources of PPC ads is Google’s AdSense. When you have an AdSense account, advertisers will pay for ad space on your site, and the space will go to the highest bidder. While PPC ads only pay you when someone actually clicks on an ad, CPM ads pay you based on “impressions.” This means that, for every thousand people you drive to your page, your advertisers will pay you. On the one hand, CPM ads are great, because users are increasingly reluctant to click on ads. On the other hand, you have to drive much more traffic before you actually get paid. Additionally, many CPM ad companies have minimum traffic requirements. You’ll need to start driving traffic before using these ads becomes an option. To maximize your profit, you’ll need to make use of both PPC and CPM ads. This means you want to make your click-through rate (CTR) on your PPC ads as high as possible. This can be challenging when you are trying to increase the CTR for another company’s ads. Much of the advice about how to improve CTR is based on the content of the advertisements–something you have minimal control over. That said, there are a couple of strategies you can use to increase your CTR. Even though you won’t get to decide what the ads on your page say or what they look like, you do have some control over what companies advertise on your page. When selling ad space on your landing page, consider what kinds of ads will appeal to the traffic you are driving to your web page. For instance, if you are driving traffic with content aimed at 20-30-year-olds, your advertisements should not be geared towards 50-60-year-olds. A great way to do this is through affiliate ads. With affiliate ads, you can work directly with sites like Amazon to put ads on your page that will directly appeal to your target market. Placing ads on your page strategically is crucial to getting good click-through rates. It’s tempting to make your ads gigantic, or make it so that it is difficult to get to the content on the page without accidentally clicking an ad. This might get you a few clicks in the short run. But in the long run, it will make users view your web page as unreliable. Instead, focus on making your content front and center. Then, place your ads around the content to increase the likelihood that users will see them, and interact with them. Using traffic arbitrage as a tool to create revenue isn’t as easy as it once was. New algorithms, increased restrictions, and savvier consumers all pose challenges for marketers attempting to use this strategy. This does not make traffic arbitrage impossible, however. Instead, it means that marketers need to adapt to the changes in their target market. For the foreseeable future, one of the best ways to do this will be through great content. Content is and will continue to be a great way to both drive traffic to your site, and attract advertisers who will provide revenue. What do you think? Have you tried using traffic arbitrage? Let us know what your experience was like in the comments!